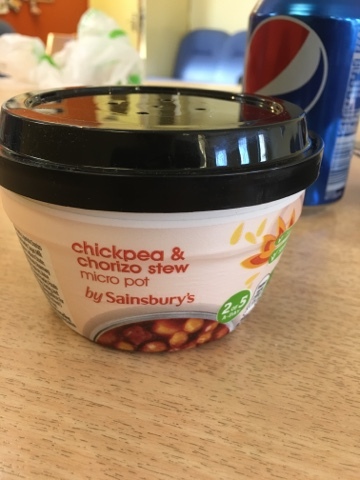 The series of things I've had for lunch continues! 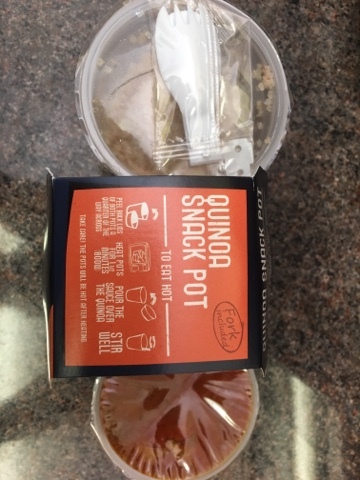 Here we have two more Sainsburys pick-ups one with Quinoa and one with Chick-Peas. It's 2016 and people still can't say keenwah. 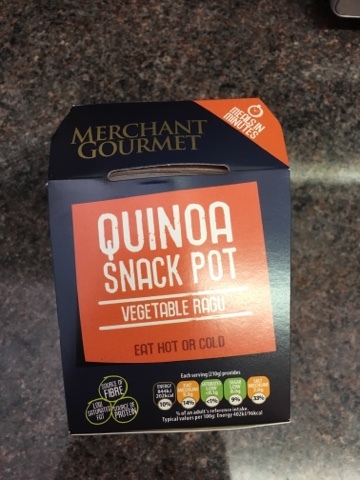 I'm not sure at this point whether we just abandon it and go with a phonetic pronunciation or continue to use it as a detection test for the Ocado gene. It said you could eat it cold. Frankly - no. Microwave it is. The two pots get peeled back a 1/4 of the way (I chose by diameter, but I'm sure by area works to - or one of each) and microwaved together. Then you tip the little one into the big one and stir. You'll probably stir better than this - the last bit didn't have much red stuff. It was fairly soft, but not over done and still had a little bite and texture. 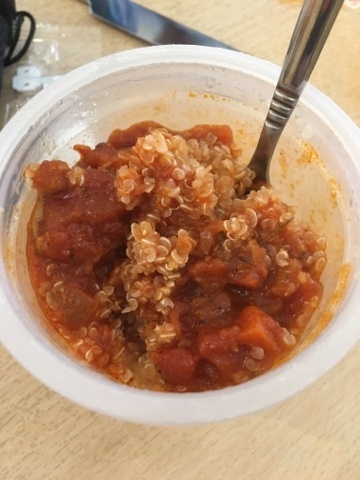 The tomato salsa (vegetable ragu) was great and had a little bit of interest to it and the fact it wasn't expertly stirred and had large chunks meant it wasn't a boring meal. As Merchant Gormet are the people whose sun-dried tomatoes I love this probably shouldn't have been a shock. I'd totally have this again, maybe with a side of biscuits or something similar. Then I had one emergency microwave pot left to try. We'd reviewed a bunch of these things before so I didn't hold out much hope, but the idea that the main ingredient is veggie and the meat is the condiment is spot on so I figured I'd try it out. 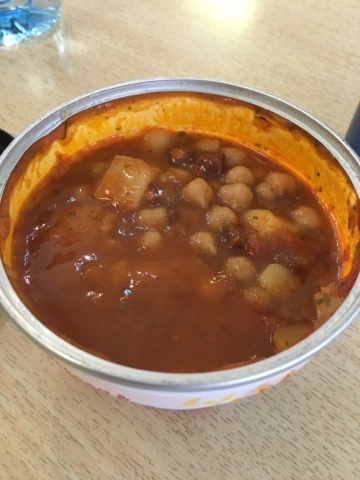 This chickpea and chorizo stew is a micro pot which not only describes its half portion size but also the fact that it can be microwaved. As with the others the top peels off like a can, but you eat it direct and then feel bad and keep the container. It (unsurprisingly) isn't a looker, but the flavours were great. The chorizo tasted authentic and the chick peas were whole enough that you could taste them through the sauce. The portion was surprisingly ok, but I think that I'm a big lunch kind of guy and still needed a bit more. This is one I'd happily have again too - which is a surprise as I'd left these both till last fearing that they wouldn't be great. Either lunch options are improving or I'm getting hungrier.